WordPress is a beautiful thing. In this world of advanced technology and the increased cost of enjoying that technology, it is refreshing to enjoy free access to WordPress—well, at least if you choose to have your site hosted on WordPress.com. However, you can also choose to host your WordPress site with a third-party web hosting company. 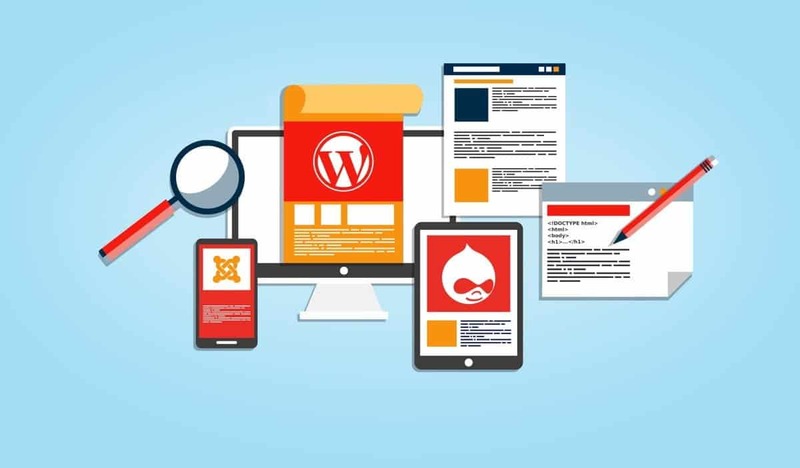 Many people choose this option because it doesn’t cost a lot of money, it enables additional features and capabilities that are not possible using WordPress.com, but it also means that they don’t some of the security features automatically included with sites hosted at WordPress.com. It is important to understand that WordPress is not a simple set it and forget it platform. At WordPress, they are consistently updating their code for many different reasons. Third party WordPress plugins and themes are also being updated on a consistent basis. If you are hosting your site via a third-party host, you need to be ready for these changes. You absolutely must keep up with WordPress updates or the functionality of your site will suffer. That said, the following are reasons why WordPress site support is key to maintaining the vitality of your WordPress site. The main reason WordPress updates its code regularly is to mitigate security risks and breaches. However, they also publish updates in order to fix bugs that have been discovered in the software since the previous release and to introduce new software features, such as updates to the dashboard or new themes. Core WordPress updates come about every six months, but in between these updates, there will be security updates and point releases. Individual WordPress site owners also need to update their sites, yet Torque reports that only 40% of WordPress sites are up-to-date. That is less than half of all the sites out there and it is a troubling statistic. If your site code is not properly updated and managed, WordPress updates can break your site, rendering it or parts of it unresponsive or non-functional. When WordPress updates affect your site, it is often due to the themes or plugins you are using. These can become incompatible with the new WordPress code, requiring you to update the themes and plugins that no longer function properly. This is a time-consuming and complicated process. It is no secret that WordPress has had its share of security breaches over the past few years. After all, it is the world’s most popular and user-friendly content management system (CMS), making it a very tempting target for hackers and spammers. In fact, in a report compiled by the security firm Sucuri and released earlier this year, it was revealed that 78% of all hacked CMS websites were WordPress sites. Of those hacks, 25% of them were related to outdated TimThumb, RevSlider, and GravityForms plugins. One of the most common reasons for your WordPress website to be targeted is so that spammers can access your server and send out spam emails. Other hacks can redirect site visitors to a completely different site or download malware of their computer. More serious breaches often involve monetized websites or e-commerce sites. Can you imagine how horrifying it would be to have a hacker get into your sensitive customer data? Enough said! For reasons we have already discussed, it is important to back up your WordPress website on a regular basis. In fact, this might be the most important form of maintenance you perform on your site. How often you back up your site will depend on what you use your site for and how often you post. If you post to your blog once a week, you might only need weekly or monthly backups. However, if you run a high-traffic e-commerce site, you will want real-time backups of your site. Do you have the capability to back up your site in real-time? The purpose of your backups is two-fold. First, if your site goes down for any reason, it can easily be fully restored to the most recent backup. This is critical when you have followers and customers counting on you. In addition, your site is backed up in case there are adverse effects from a WordPress update or someone hacks your website. There are two forms of backup, one that backs up the database, which includes all the content, and another that backs up the files, which includes the images, styles, and attachments. Knowing how to navigate these backups is critical to the success of your website. Do you know when your website is down? What is the cost to your business when your website is down for a few hours? Monitoring your site is critical to its success, but it is difficult to monitor it 24/7, considering you probably work a day job, have other life responsibilities, and like to sleep. However, when your website is monitored on a constant basis, you will know when performance is down and when the website itself goes down. This information is critical for ensuring your website is always operating at its best. In the end, there is a lot of maintenance required to keep your WordPress site running as efficiently and effectively as possible. But this is a lot for you to do on your own. Fortunately, there are a variety of options for those who can’t sit and stare at their WordPress site every waking moment (which means everyone!). There are plugins you can get that will monitor your site, back up your site, run security scans, and generally help you manage your site. These are great, but you need to be sure you are using the most up-to-date version of the plugins and that they are reputable and trustworthy. The alternative is to hire a third-party company to take care of your site maintenance. Depending on the reason for your site’s existence, this might be the best option, especially if you have a high volume of traffic or run an e-commerce site. Ultimately, your WordPress site operation and security will be as good as the maintenance you put into it. When you host your site via a third-party, that site maintenance is entirely your responsibility and it is something you can’t do without. Whether you have the time and skill to do it yourself or you need help to maintain your site, you will be happy you did it and so will your followers, visitors, and customers.